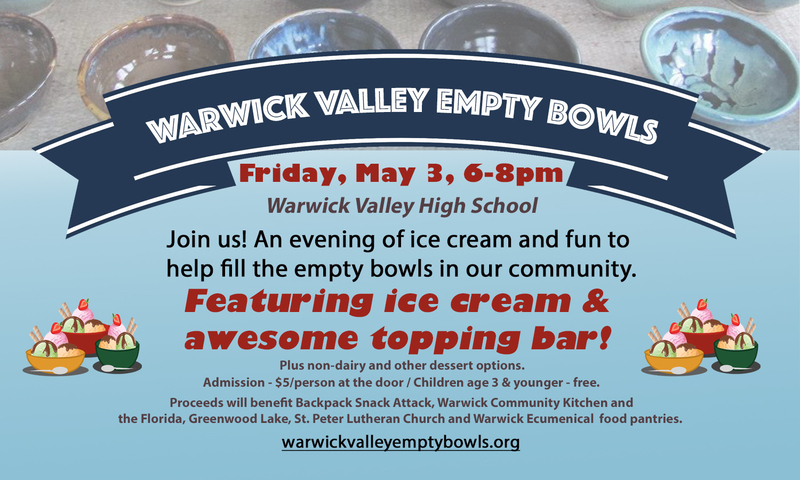 Empty Bowls is a community-based effort to fight hunger. Community members are invited to a meal of soup, bread and dessert. Guests may choose to purchase a pottery bowl as a reminder of all the empty bowls in the world. 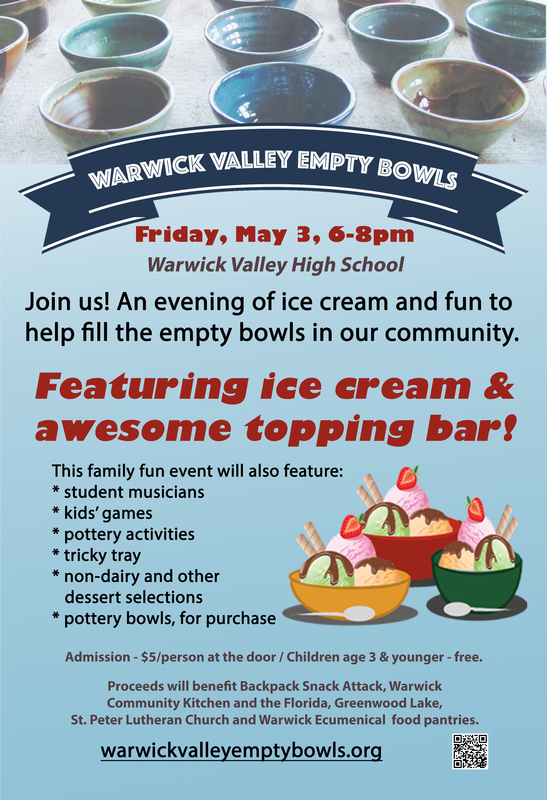 The money raised is donated to several organizations in the Town of Warwick working to end hunger and food insecurity.